Join Rev. Jim Keat and Jeremy Tackett for a webinar about using live online video in your church. 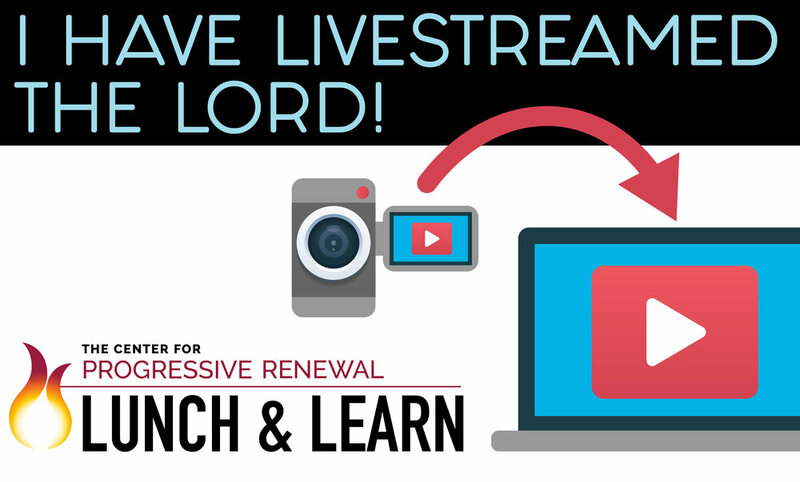 In this webinar you will learn about the variety of livestream options, discover best practices, and generate ideas for using live online video in your ministry context. Bring your lunch and your questions and we'll see you online! Rev. Jim Keat is the Director of Online Learning at the Center for Progressive Renewal and the Associate Minister of Digital Strategy and Online Engagement at The Riverside Church in New York City where he produces a variety of live online video content.